Landscaping projects are being driven by two main reasons: To create entertainment spaces and fix yard problems, according to the Spring Houzz Landscaping Survey of more than 4,500 users on the remodeling website. Fifty-six percent of home owners surveyed say they are making updates to improve their yards for entertaining, and 55 percent say they are tackling projects to solve issues of flood, sun exposure, and privacy. Home owners are turning their backyards into entertainment spaces with outdoor eating spaces and living rooms. The top features they’re including: Patios and decks, BBQ’s, fire pits, sound systems, and outdoor kitchens, according to the survey. Also, the survey found that more home owners are using more lighting to spiffy up their outdoor spaces. 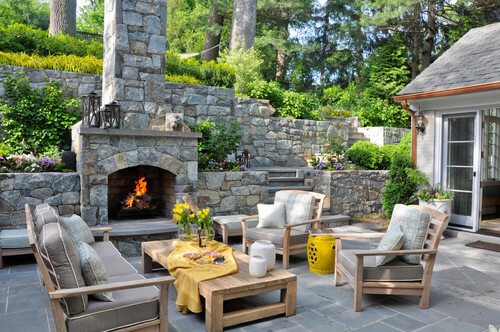 Home owners are lighting up the deck and patio; paths; tree and shrubs; steps; and fountains, according to the survey. Some home owners are also opting to add a pool to their entertainment spaces. Pools are the most popular in the South, while home owners in the West are most likely to include a hot tub, according to the survey. Green lighting: Of the two-third of home owners who said they were updating the lighting in their yard, the majority were going green with LED lighting and solar-powered lighting. Native plant choices: More home owners are selecting plants that are native to their region, but are also motivated by choosing vegetation that could reduce lawn maintenance. Lawn alternatives: Traditional lawn remains the most popular but alternatives are growing, particularly in certain regions like the South and West. More home owners in the South are choosing mondo grass while those in the West are choosing artificial lawns to curb water bills. Gardens: Nearly two-third of home owners surveyed say they are growing edibles in their yard, with herbs the most popular choice, followed by vegetables and fruit trees. 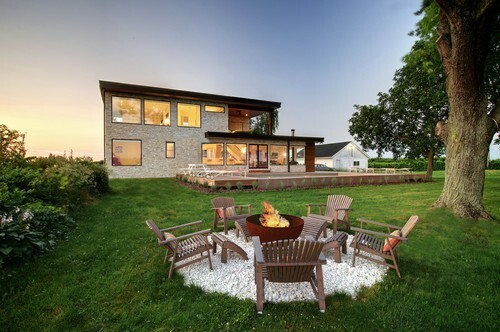 View the full Spring Houzz Landscaping Trends Study report.